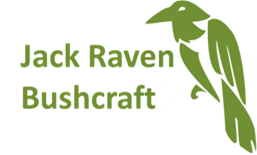 Jack Raven Bushcraft courses take place in beautiful Westwell, Kent, just 50 miles from the centre of London. We have access to around 60 or so acres of beautiful broadleaf woodland, in a designated area of Outstanding Natural Beauty in the UK. Our courses in bushcraft and wilderness survival are perfect for corporate team building activities, training new outdoor skills, and having fun with nature. You don’t need any previous outdoor experience to take part in one of our wilderness survival or bushcraft courses, and the training sessions are entirely hands on, so that you leave Jack Raven Bushcraft with simple, practical and repeatable skills. There is a focus on both team building exercises and individual bushcraft skills in our courses, which are essential for survival in the wild. Not only will you learn valuable outdoor skills, but we’re certain that you’ll have a lot of fun along the way! Our wilderness survival training and bushcraft courses take place at an expedition style camp with a yurt and wood burning stove, a parachute, a kitchen area, work benches and a composting toilet. We have areas where you can pitch a hammock, tarp or small tent, cleared of standing and hanging dead wood, or you can camp on a nearby working farm campsite. It’s the perfect environment for training wilderness survival skills and taking part in our unbeatable bushcraft courses. We place a strong emphasis on natural history, woodland management and conservation throughout all of our teachings, as we believe that this knowledge should inform everything we do in bushcraft, both in the UK and abroad. Preserving and enhancing the woodland in which we teach is factored into all of our outdoor activities. For example, during our bushcraft courses you will learn how to prune trees in a way that will allow them to heal afterwards, and any temporary shelters built will always be carefully taken down after each course. Our bushcraft experience course in Kent offers a wide range of organised outdoor tasks and team building activities covering wilderness living skills, woodlore, bodging, camp craft, tracking, earth skills, carving, and wild food courses. We offer a range of wilderness survival courses, some take a day and are more specialised or you can join us for a bushcraft weekend. For those who would like a truly immersive experience, we offer both 5 day bushcraft courses and 5 day wilderness survival courses – here you can learn all of the principles and skills needed to get by in the wild. Take a look around our website and if you have any questions on our bushcraft courses, corporate team building activities, events, or need more information about anything, then don’t hesitate to contact us.